Ladies' and Mans' matching bands! This dazzling brilliant cut diamond solitaire ring is set in 18 Karat yellow gold and has matching Ladies' and Mans' Wedding Bands. 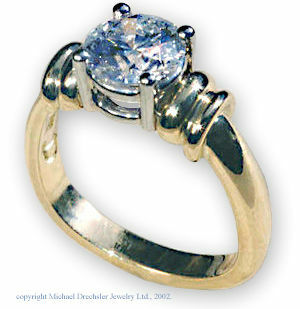 Available with .50 carat or larger diamond. 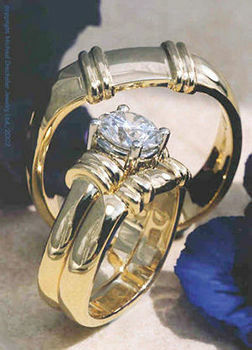 Call for an estimate to custom design your ring. Phone 877-717-7226 for quote.